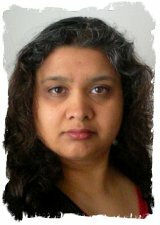 Below you can read testimonials from people who have attended Bhavna Mistry’s Reiki Evolution Reiki training courses in Morden, South London. “Having learnt Reiki in the past, I got the chance to revisit it again Reiki Evolution style. Bhavna has a patient and relaxed manner and was able to adapt the teaching to suit and avoid too much repetition. I was interested to see what the differences might be, the course was comprehensive, covered a lot of material and the accompanying manuals excellent. It was great to reconnect to the symbols again, learn some new techniques and ways of working and also to experience the attunements/empowerments some years on in my healing journey. The course has enhanced my learning and development – thanks Bhavna!”. “Thank you for such a wonderful day. You created such a peaceful, welcoming atmosphere to meditate and work in. Your voice was so relaxing, guiding me through the different stages of meditation, that I did on each of the symbols. I could feel the different shifts in energy, especially at the start, when you guided me to feel the Reiki energy coming in through my hands, it was an amazing experience. After the Reiki 2 attunement, my hands tingled with each different symbol that you guided me to insert into the palms of my hand, and each symbol had a different energy vibration. Your instructions were clear and concise. You are an excellent teacher, and I would thoroughly recommend that others join your classes for the start of their spiritual journey. You are an inspiration to listen to, and the practise I did with beaming Reiki, and sending Reiki through my eyes, was a wonderous experience. You ended the experience with a Reiki treatment, which was so good I didn’t want it to end. “My recent Reiki level 2 course exceeded my expectations; it had been a long time since my level 1 attunement, but I felt that the level 2 course continued my Reiki experience seamlessly and for me was absolutely the right thing at the right time. My teacher Bhavna was so knowledgable and was very hospitable (my course took place in her home) she helped me to see Reiki as a whole for the first time; now I really feel empowered. The attunements were amazing – full of emotion and colour, a big change for me as at level 1 I hadn’t really felt anything; I guess enhanced understanding has a big part to play in this. I found the course materials sent before my appointment were so beautifully presented – logical and easy to assimilate. I particularly liked the CD – downloaded onto my i-pod and spent lots of long walks listening – great form of meditation. “I’ve just done the Reiki 1 course with Bhavna in Morden and I thought it was fantastic! She is such a warm, approachable person so I felt totally at ease and she explained everything really well and simply so it was very easy to understand. There was only 2 of us on the course so it was great value for money! 🙂 and Bhavna was very happy to answer any questions we had, even those that went slightly off track! She really gave me confidence that I was feeling and channeling the energy which was very encouraging (I think at this stage self belief is so important) and I would definitely like to go to her for my reiki 2 which I hope to do in a few months time. And the fact that I can tune in to weekly empowerments and join the Reiki Evolution support group are just added bonuses to an already brilliant course. “I thoroughly enjoyed the Reiki course, it more than met my expectations. The CD really saved my bacon because I find meditating very difficult but with the aid of the Meditation CD everything seemed to fall into place. I found the Manual very clear and easy to understand. I liked the section where people wrote about their own experiences as it gave me an idea of how it would affect myself and which type of people it would be particularly effective on. The live training was excellent. Bhavna was very friendly and approachable, she quickly made us feel at ease so that we felt comfortable carrying out Reiki on each other and asking numerous questions. It was great to practise the techniques with other people and it gave us a chance to clear up any queries we had about the manual. I can’t think of any way the live training could be improved. “I think the course is very complete and reachable to everyone, everything is well explained and oriented. It didn’t only meet my expectations but it also exceed them! The feeling of the energy though you own body is an amazing experience that everyone should try and experience. From now one my objective is not only develop my sense of the energy but also try to bring it up to as many people I can. The materials where very useful, mainly the meditations, the info that was in the book I prefered to read it instead of listening to it, but I believe we all are different and probably listen to it can be better for others. About the meditations I still using it to my every day practice and it has been helping me so much. My live training was one of the best parts of it, Bhavna is a lovely person, very warm welcoming and her own and home energy were very peaceful and relaxed. She is a very wisdom person an apart of reiki, she is very connected to the spiritual world, what really surprised me and made me feel in a very safe environment. There is so much to learn about ourselves and this beautiful world of energy.